Interested in INCREASING exposure to your adult website? Well, we have the answer because KinkBiz.com banner and button ads will not break your budget. 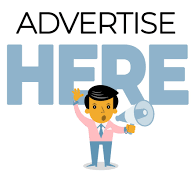 Each one of our banner or button spots is designed to keep your advertising budget intact. Display your small button at the top of KinkBiz.com adult categories. Your side banner will be in high rotation on KinkBiz.com homepage sidebar. Your banner will be in rotation at the top header of KinkBiz.com homepage to receive maximum exposure. Contact Us should you have any questions or if you don't see your website category on KinkBiz.com, let us know and we will consider adding it. We are always open for suggestions to expand our world renowned adult entertainment directory. When you provide a valid email address, we will respond to your inquiry within 24 business hours.